Since I briefly worked for Pajamas Media in 2007, I have received a number of emails today asking my reaction to the news that Pajamas Media is dropping the bloggers ad network. While Pajamas Media has published several of my articles, I haven’t been affiliated with them, or have been listed in their blogroll since I dropped their ads last year. At the same time, I find no pleasure in either publically saying bad things about a former employer, or seeing several of my friends lose a source of much-needed revenues. And now for Daschle – and the Google warning? What’s with the Democrats and taxes? The controversy deals with a car and driver lent to Daschle by a wealthy Democratic friend — a chauffeur service the former senator used for years without declaring it on his taxes. Based in New York City, InterMedia Advisors is a private equity firm founded in part by longtime Daschle friend and Democratic fundraiser Leo Hindery, the former president of the YES network (the New York Yankees’ and New Jersey Devils’ cable television channel). That same year he began his professional relationship with InterMedia, Daschle began using the services of Hindery’s car and driver. The Cadillac and driver were never part of Daschle’s official compensation package at InterMedia, but Mr. Daschle — who as Senate majority leader enjoyed the use of a car and driver at taxpayer expense — didn’t declare their services on his income taxes, as tax laws require. During the vetting process to become HHS secretary, Daschle corrected the tax violation, voluntarily paying $101,943 in back taxes plus interest, working with his accountant to amend his tax returns for 2005 through 2007. Daschle reimbursed the IRS $31,462 in taxes and interest for tax year 2005; $35,546 for 2006; and $34,935 for 2007, a Daschle spokesperson said, adding that Daschle had asked his accountant to look into the tax implications of the car and driver five months before Obama won the presidency. The Senate Finance Committee Report also notes that during the vetting process, President Obama’s Transition Team “identified certain donations that did not qualify as charitable deductions because they were not paid to qualifying organizations. Daschle adjusted his contribution deductions on his amended returns for 2005, 2006 and 2007 to remove these amounts and add additional contributions.” This adjustment meant a reduction in the amount he contributed to charitable foundations of $14,963 from 2005 through 2007. These two omissions are much harder to dismiss. Indeed, they look like actual tax fraud — an attempt to conceal a substantial amount of obvious income and to claim deductions to which he wasn’t entitled and which his accountant could easily have verified. He’ll need a humdinger of an explanation. Well, at least it wasn’t pay-to-play, like Bill Richardson, Blago, Anibal Acevedo & the Philly fundraisers and Jim McGreevey. But fear not: Jake Tapper assures us that, if Daschle doesn’t get the health and human services post, he’ll still be director of the new White House Office on Health Reform. The fact that his wife is a lobbyist whose company “does represent numerous health interests” presents no problems at all. While I was researching this post, the search daschle’s wife lobbyist yielded results which carried “This site may harm your computer” warnings, which in turn directs to a Google warning page. To get the Washington Post link I used, I had to cut & paste the link. It reminded me of how quickly Google defused the Obama google bomb, but it’s also happening with searches involving Republicans. What’s going on? 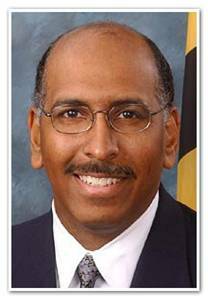 Michael Steele is now the RNC Chair. Michael Steele makes history as the first black chairman of the Republican National Committee, and as a rare winner — at least in part — of an outside game in what is usually an insider’s contest. He won with 91 votes, 6 more than he needed, over South Carolina GOP Chairman Katon Dawson. Steele’s victory also marks a decision by some GOP leaders that to elect a man associated with an all-white country club — when America just elected a black president, and the GOP itself runs a risk of being branded an all-white club — was too big a risk to run. Steele ran in large part on his ability to rebrand the party and to do battle on cable news. Though he is, in fact, quite conservative for the spectrum of American politics, he wasn’t the conservative choice, and his win marks a real defeat for elements of the party’s conservative wing. For younger Republicans and those seeking a dramatic break from the past, he was the choice, and his win suggests that the party is emerging from the phase of denying that, in the wake of its 2008 rout, it has a problem. For the duration of his campaign, Steele fought perceptions that he was too moderate to lead the party because of his blue state roots and his former membership in the Republican Leadership Council, a group that sought to curb the influence of social conservatives in the party. Steele brings a national profile to the committee, having shot to fame in the political world during an underdog Senate bid in 2006 distinguished by a series of clever TV commercials. 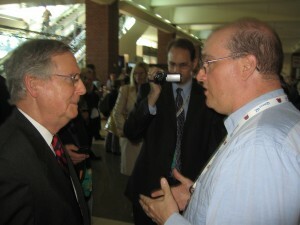 He has since become a fixture on cable talk shows, experience that boosted up his reputation as the best communicator among the field of RNC candidates. I for one, am delighted he won. Dr Krauthammer: Outreach, Yes. Apology, No. “My job,” says Obama, “is to communicate to the American people that the Muslim world is filled with extraordinary people who simply want to live their lives and see their children live better lives.” That’s his job? Do the American people think otherwise? Does he think he is bravely breaking new ground? George Bush, Condoleezza Rice and countless other leaders offered myriad expressions of that same universalist sentiment. Every president has the right to portray himself as ushering in a new era of this or that. Obama wants to pursue new ties with Muslim nations, drawing on his own identity and associations. Good. But when his self-inflation as redeemer of U.S.-Muslim relations leads him to suggest that pre-Obama America was disrespectful or insensitive or uncaring of Muslims, he is engaging not just in fiction but in gratuitous disparagement of the country he is now privileged to lead. Iran has already responded to the Obama overture. In perfect tune with Obama’s defensiveness, President Mahmoud Ahmadinejad declared that better relations might be possible — after America apologized for 60 years of crimes against Iran. Note the 60 years. The mullahs are as mystified by Obama’s pre-1979 (or 1989) good old days as I am. At some point, soaring rhetoric makes banality the harder to accept. For all the talking about path- breaking new/old envoy George Mitchell, and the new President’s background, and the novel sensitivity, Obama offered nothing new on the Middle East and Iran, because (1) there is very little new to be offered; and (2) George Bush, apart from the caricatures, was by 2004 about as multilateral as one can be; consider the Quartet, the EU3, the UN efforts at international disarmament with Iran, the use of NATO forces in Afghanistan, the Coalition in Iraq, the efforts to promote constitutional government in the Middle East, and on and on. There is a danger here that Obama’s hope and change on the Middle East will start to resemble his hope and change on new governance in Washington: utopian promises about absolutely new ethics, followed by the same old, same old as exemplified by the ethical problems encountered by Geithner, Holder, Lynn, Richardson—and by extension Blago, Dodd, Frank, and Rangel. Again, saintly rhetoric only highlights earthly behavior. I am glad Obama confounds the radical and hostile Islamic world, if it is in fact true that he does. But we are witnessing a delicate balancing act in which he seems to be saying to us “I am best representing you by distancing myself from you and your past”. Stop apologizing to the Muslim world. Utopian promises won’t convince anyone, and infantile apologies will only enbolden our enemies. We are witnessing the biggest fraud and socialist takeover of an economy in world history, the trillion-dollar stimulus package. Eight hours of debate in the HR to pass a bill spending $820 billion, or roughly $102 billion per hour of debate. Only ten per cent of the “stimulus” to be spent on 2009. This bill is sent to Congress after Obama has been in office for seven days. It is 680 pages long. According to my calculations, not one member of Congress read the entire bill before this vote. Obviously, it would have been impossible, given his schedule, for President Obama to have read the entire bill. There has been pork barrel politics since there has been politics. The scale of this pork is beyond what had ever been imagined before — and no one can be sure it will actually do much stimulation. Further, no one can be sure that we are not already at the trough/inflection point of the recession such that this money will be spent mostly after the recovery is well under way. How long until the debt incurred under this program is so immense that it causes a downgrade in the sovereign debt of the USA? What happens to us then? This has been a punch in the solar plexus to the kind of responsible, far-seeing, mature government processes that are needed to protect America. This is more than the pork barrel. This is a coup for the constituencies of the party in power and against the idea of a responsible government itself. A bleak day. I challenge all Senate Republicans to vote against this travesty, the $800 Billion Mistake the Democrats are foisting on us and on our children. Senator Judd Gregg awoke to the bad news on Thursday morning that a coalition of Democratic groups had planned to run television advertisements in his state to pressure him to support President Obama’s economic recovery plan. Mr. Gregg, a third-term Republican from New Hampshire, is one of five Republican senators who are targets; all face re-election in 2010. In today’s podcast at 11AM Eastern: While the Chinese celebrate the Year of the Ox and business leaders meet in Davos at the World Economic Forum, Latin American leaders attend the World Social Forum in Benem, Brazil. What are they talking about? How does it affect US policy? 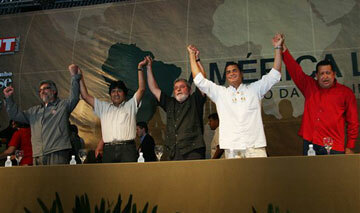 Noticials 24’s article shows the panel on “Popular Integration in Our America” featuring Lugo, Correa, Chavez, Lula and Morales. The podcast starts at 11AM, chat’s open at 10:45 and the call in number is 646 652-2639. See you there! Illinois senate has reached a unanimous conviction to remove governor Rod Blagojevich. The next vote will decide whether he’s barred permanently from running for office. Post updated as news break. Update 5:55PM Blago now disqualified from holding any future office in Illinois. Apparently he’ll be speaking to the press tonight. With that vote, Lt. Gov. Pat Quinn (D), a former running mate who hasn’t spoken with the increasingly isolated Blagojevich in 17 months, became Illinois’ 41st governor. 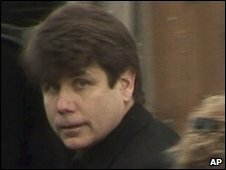 By a matching 59 to 0 vote, the Senate also voted to bar Blagojevich for life from holding Illinois political office. Forget about “the very wealthy and the very poor, the most and least educated” and all that. Define clearly and concisely what Republicans stand for. Assertively convey that message by standing by your beliefs every day, in every way. 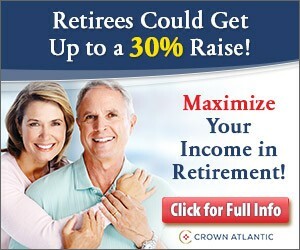 End the constant capitulation and pointless compromise. Stand for what you believe. In the meantime, Red State has a message for McConnell.